Solihull is one of the most prosperous towns in the West Midlands with local amenities ever growing and an abundance of wedding venues to choose from for your special day. 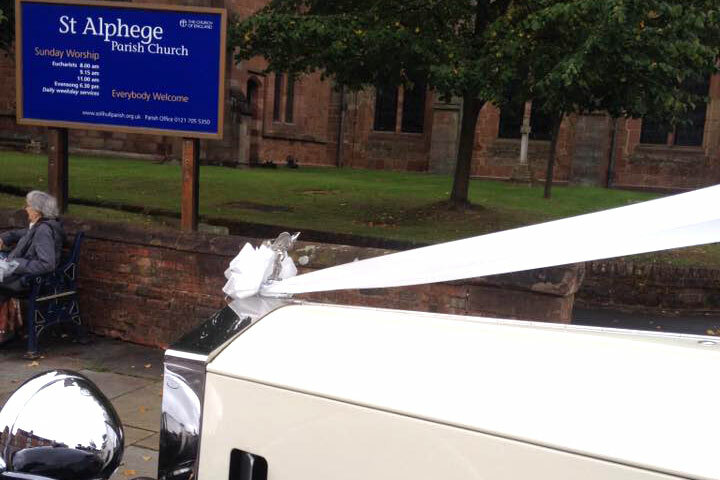 At Solihull over the years we have had the pleasure of providing vintage or classic cars for couples getting married at many Solihull churches such as St Alphege's Parish Church, also weddings at Solihull Registry office, and many of Solihull's wedding venues. 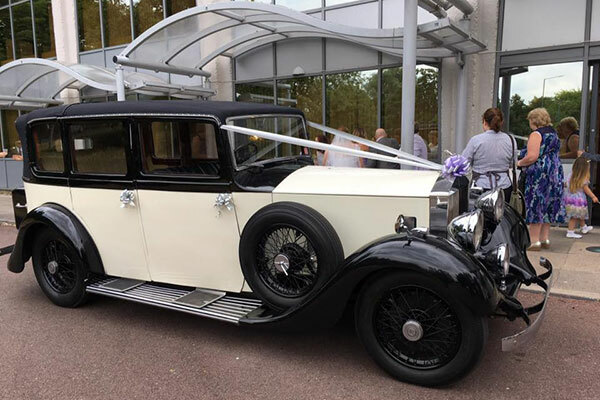 Whether it's a vintage Rolls Royce or a Classic 7 seater Vanden Plas Princess limousine our vehicles will add a wonderful experience and life long beautiful pictures to your magical day. 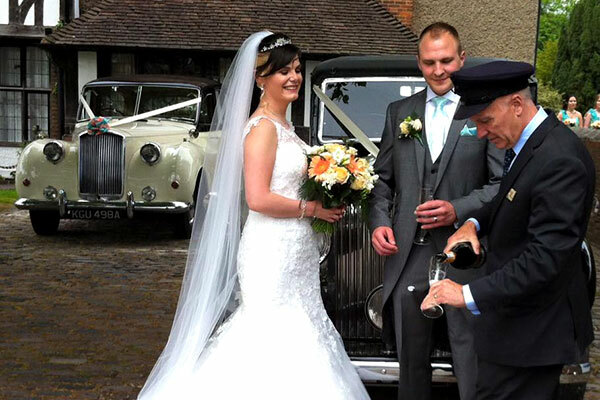 As an established wedding car hire company we cover the following areas within Solihull, Catherine De Barnes, Dickens Heath, Dorridge, Hampton in Arden, Kenilworth, Knowle, Meriden and Shirley. 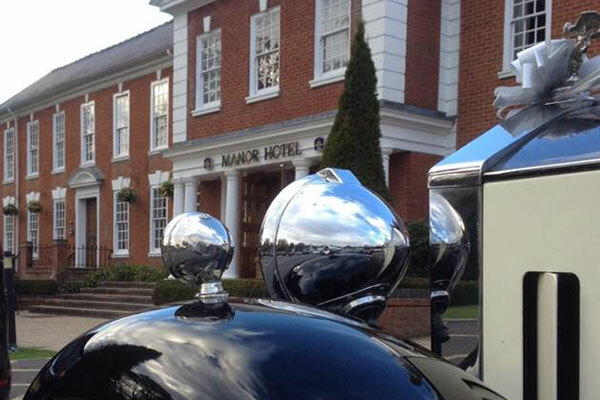 We have also seen a rise in civil wedding venues in Solihull and at first many couples think they don't need a car, well most of the time we can help. It's well documented from our experience that this slice of time away is the only time the bride and groom will get to themselves all day and often report that this time together is a favourite part of the big day. Once back at the wedding venue the opportunity to get all the lovely photos with the car before the car departs. This completes your wedding photo album, or wedding video. Listed below are a selection of wedding venues in Solihull for inspiration take a look at what Solihull has to offer. Our Vintage Rolls Royce Primrose at Hampton Manor. Bride and Groom at Knowle Parish Church. Vintage Rolls Royce Primrose at The Manor Hotel, in Meridian. 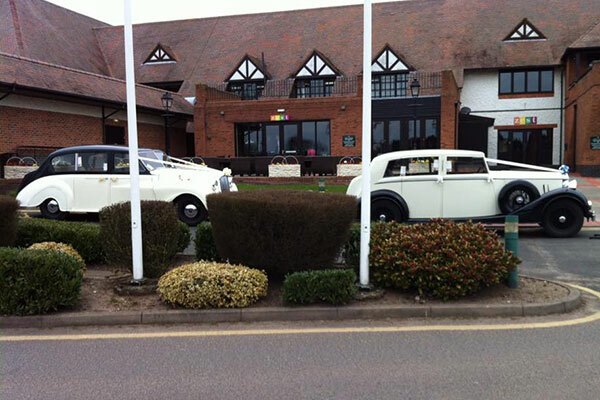 Our vintage Rolls Royce and Princess at The Forest of Arden, in Meriden. Landaulette Rolls Royce at Solihull Registry Office. Rolls Royce Landaulette at St Alphege's Church. 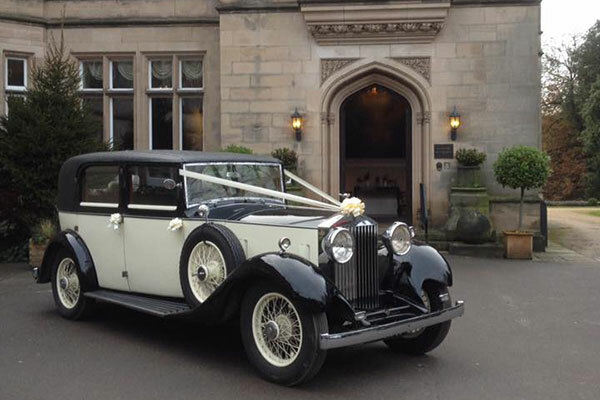 If you are having your wedding in any of the above locations or venues and are looking for vintage and classic wedding car hire in Solihull please contact us for a wedding car hire quote. If your location or venue is not listed please try us as we still may able to help.